Looking for something to replace your coffee or sugary snack during the day? 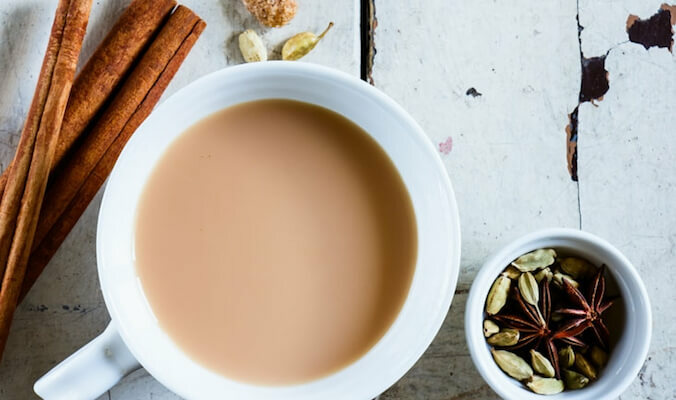 If so, this might be for you: a delicious, nutritious, healthy Chai Tea recipe. It is the perfect substitute for your afternoon cravings. Crush the ginger, cardamom pods and cinnamon stick with a mortar and pestle. Add spices and black tea to a saucepan, then add milk and water. Bring to boil, then reduce to simmer for 15 minutes until it begins to smell fragrant. Original recipe was published HERE. The Sukhavati Ayurvedic Retreat & Spa in Bali is part of the prestigious Healing Hotels of the World brand.